THE summer is not over yet until the Bellewstown Race Course August Festival takes place and Ashley and Conor from Bluegrass Horse Feeds will be there on Thursday as we are proud to be sponsoring the fifth race as part of our 20th anniversary celebrations. The festival, which takes place in the beautiful course on the hill of Crockafatha, Co Meath, is renowned for having a real holiday feel to it. Tomorrow (Wednesday, August 29) begins the festival which has a focus on flat racing with national hunt day on Thursday - including the Mullacurry Cup donated to the course in 2005 by the sons of Pat Markey after winning the cup in 1938 with a horse, Clarristown. This is a great festival for Bluegrass Horse Feeds to be involved with. This is our 20th year so everything we do this year is about celebrating our products, celebrating the successes of our trainers, our sponsored riders, our customers in all equine disciplines, our merchants and our relationship with Kentucky Equine Research (KER) as Ireland's Team Member. And 2018 has been brilliant so far. Our customers have celebrated over 250 wins on the track which includes the winners of the Welsh Grand National, The English Grand National and the Irish Grand National. Gordon Elliott has been feeding his champions with Racehorse Cubes and Hi Performance Mix since 2005 and Gavin Cromwell has been feeding his horses with the same feeds at Danestown for over five years. Other trainers who use Bluegrass Horse Feeds include Olly Murphy, Rebecca Menzies at Howe Hills Stables in Co Durham, John Joe Walsh and Stuart Crawford - all of whom we featured in our 20th anniversary magazine The Inside Scoop which you can download from our homepage. So, on Thursday, Conor Sheridan, who is one of our feed consultants and sales representative, will be joined at Bellewstown by Ashley Neely, our sales and marketing co-ordinator for the Bluegrass Horse Feeds Maiden Hurdle at 6.40pm. If you see Conor or Ashley feel free to have a chat with them about any of our products including Turmash which we launch last month at Dublin Horse Show. Each of our 34 products have been specifically formulated in conjunction with KER to provide high energy, stamina and promote rapid repair and recovery. A balanced diet with key nutrients and highly digestible energy ensures these equine athletes can perform at their optimum level. And as Gavin Cromwell said: "The horses need the right amount of power to compete, so the feed is vital for that performance." It will be an action-packed day and of course it's also Ladies Day so no doubt there'll be some stunning ladies competing for the €3,000 prize fund in the Top Flight Travel Best Dressed Competition which will be judged by Suzanne Ryan. 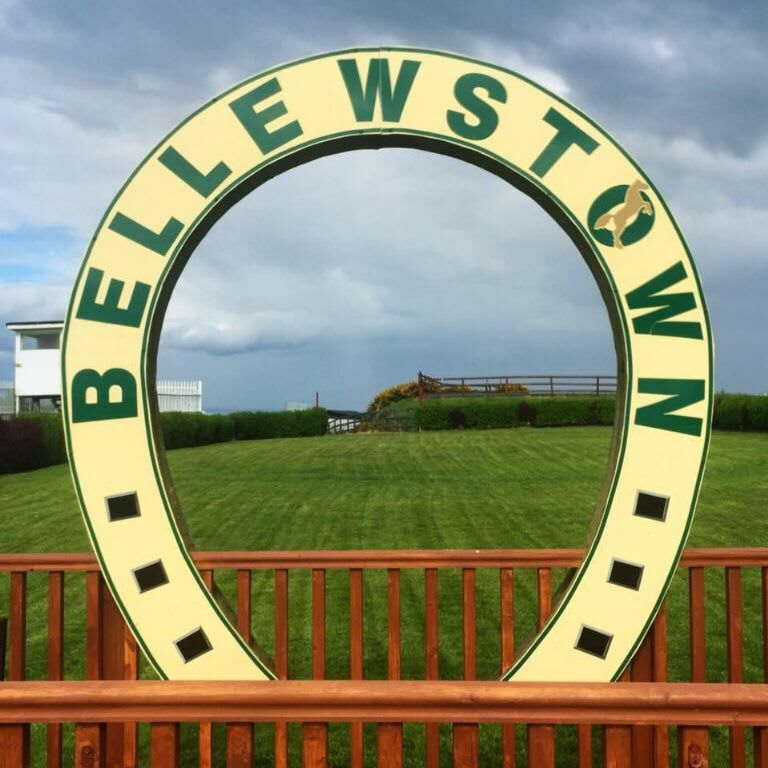 Bellewstown is great fun and the August festival is no different. The racecourse is offering a race season BBQ package for €50 which will get you your admission, reserved seating in the harvest marquee, a free race card, BBQ meal, dessert, tea or coffee , private bar facility, a tote betting facility and you can enjoy some post racing entertainment. See you there. Have a great day and good luck to all involved.